Posted by smidget08 in Uncategorized. The object I chose to represent in different contexts was a bell. When they ring, they mean a multitude of different things, usually all wanting you to do something. For example, let’s choose four of these bells. First, we have the service bell. Every store you enter has this small rounded bell with the one simple purpose of summoning someone to assist you. Whether or not they do that is up to them, but the bell’s one purpose is to ring loud and clearly that you need help with something. Secondly, we have the Liberty Bell. This bell was originally used to call the Pennsylvania Assembly to meetings, and was soon adopted by many different ethnic groups and groups that were deprived of certain rights as a symbol of freedom. In this context, the bell is not necessarily to demand help, but to coax people to meet or it can stand as a symbol of an entire country. Next up is the wedding bell. When people hear this bell, it rings of a joyous occasion. You think of love, kindness, cherishment, and kisses. You know that a couple has made a great promise to one another, and I don’t know about you, but just the sound of that bell makes me think about the future, and all of the promises people will make to each other. Last, but not least, let us remember our childhoods and talk about the sleigh bell. This bell represents all that is magical and youthful to many children every year across the world. Thought of as one of the symbols of the modernized picture of Santa Claus, many children revel in the sound of this bell as a reminder of Christmas time, Santa, winter, and snow. We think of hot chocolate and sleigh rides, and having that merry feeling that we get each year. 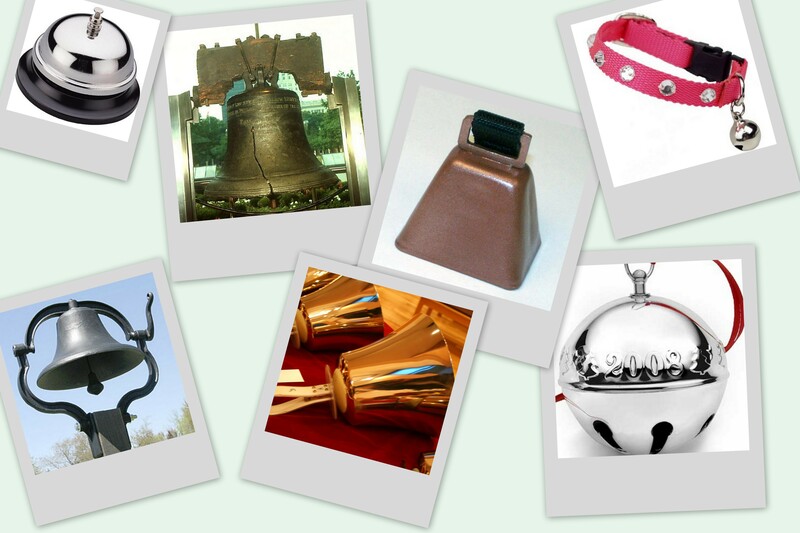 I think that bells can have many different meanings including those I mentioned. In different contexts, they can evoke different feelings, make you do different things, and can hopefully make you think about different things.